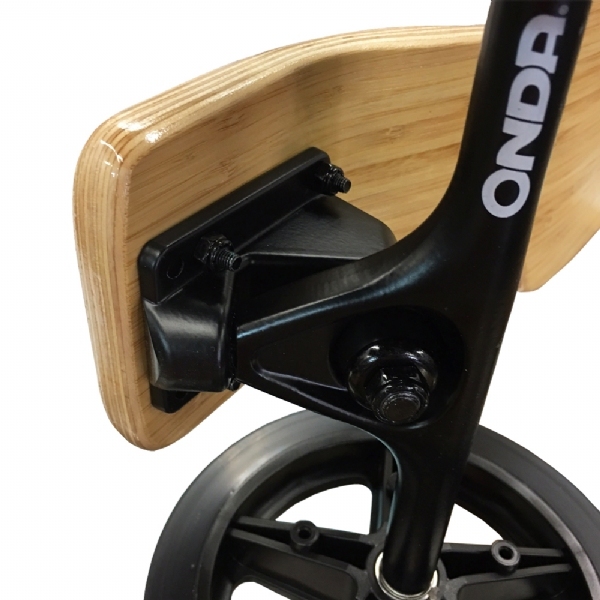 The Longa's unique 7" diameter wheels float over cracks and small rocks that would stop smaller wheels while the flat profile and sharp edge tires provide excellent grip to the ground. 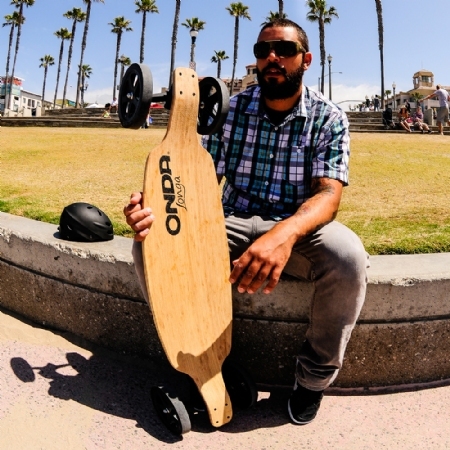 The larger and dropped deck gives riders a wider and more stable stance. 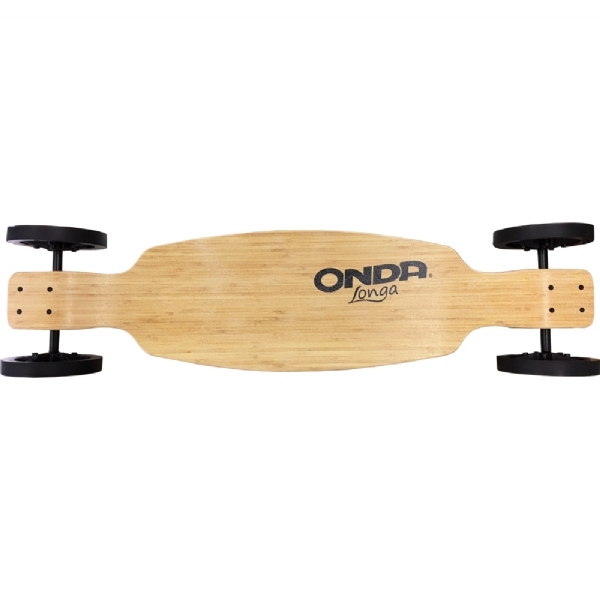 The deck is made of bamboo outside and Canadian maple inside with a layer of fiberglass for added stiffness for the perfect balance of flex, durability, and stiffness and and clear sand finished grip on top. 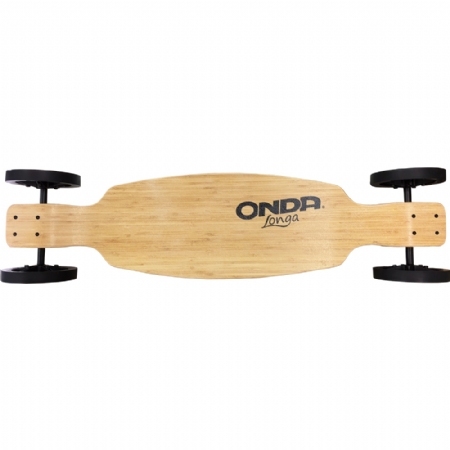 Deck - Dropped deck, bamboo top and bottom layered with Canadian Maple and fiberglass; flexible yet extra strong. Truck - Reverse kingpin aluminum hanger (20cm) with chrome plated, heat treated steel alloy axles for extra strength. 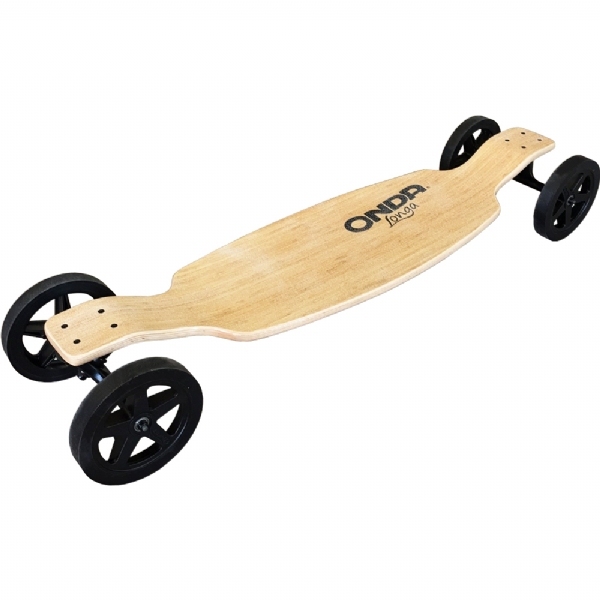 Wheel - 7" (18 cm) diameter wheel with copolymer core/rim and flat grip surface 80A polyurethane tire. Truck Bushings - 85A bushings installed with a spare set of harder 90A bushings for higher speed riders. 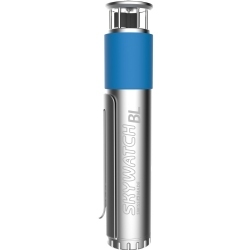 Top Grip - Clear coated PC pellets, sand-finished grip on whole top surface. 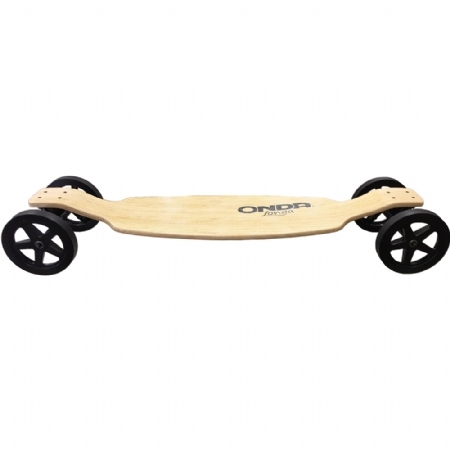 Dimensions - 11.5 lbs (5.2 kg); deck size 42" x 11" (107 cm x 28 cm); wheelbase 36"
Rider's Weight Range - 75 lb to 250 lbs (34 kg to 114 kg).